Welcome to this awesome adventure that we are about to begin! In these projects, we are going to travel all around the world and we are going to visit some of the most important English-speaking cities and their most outstanding tourist landmarks. And of course, we are about to experience the really wonderful and funny experience of learning English in a collaborative way. 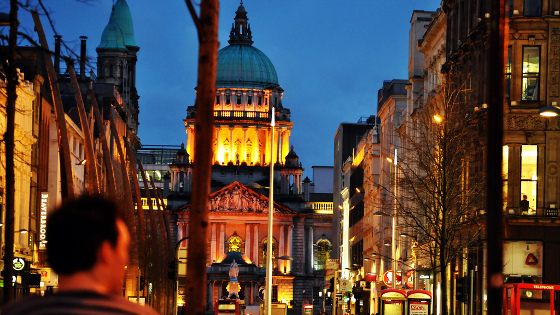 In this project, we are going to travel to Belfast, the capital city of Northern Ireland, one of the four countries in the United Kingdom, a country which belongs to the European Union. acquired vocabulary about shops and clothes. designed and recorded an interview in pairs about the last time you went to a shopping centre. learnt a lot of things about the city of Belfast, capital city of Northern Ireland. Each session of this project is going to take place in a different and famous part of this magnificent city. In each location, there is a proposal of tasks and activities to deal with the official syllabus.